What change happened between December and January? The year changed, so did the decision by Supreme Court collegium. This change of decision by the collegium is not just a rumour, but it is recorded in the minutes announcing the new decision recommending Justice Dinesh Maheshwari and Justice Sanjiv Khanna to Supreme Court. It is stated therein that that though the collegium then comprising of the Chief Justice of India, Justices Madan B. Lokur, A.K. 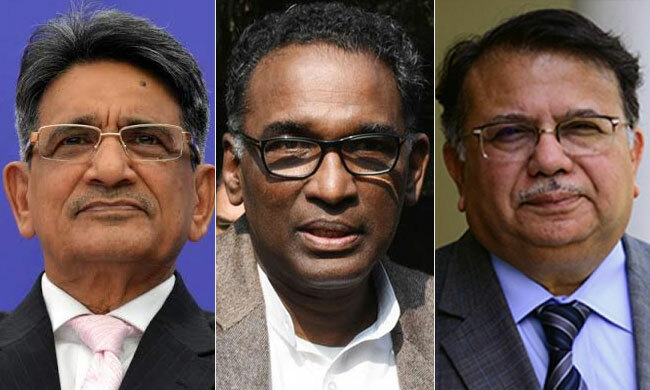 Sikri, S.A. Bobde and N.V. Ramana had met on 12th December 2018 and had taken decisions, the present collegium (minus Justice Lokur (who retired last month), plus Justice Arun Mishra), which met after re-opening of court after winter vacation, decided to have a fresh look at the matter. Sources say that the Collegium that met in December had taken decision to elevate Justice Pradeep Nandrajog, Chief Justice of Rajasthan High Court, and Justice Rajendra Menon, Chief Justice of Delhi High Court. Some former Judges of the Supreme Court and High Courts have voiced their opinion on this 'change'. Kailash Gambhir wrote to the President of India, questioning the Supreme Court Collegium recommendation to elevate Justice Sanjiv Khanna and Dinesh Maheshwari to the Supreme Court. He said that this is "appalling and outrageous" and an "earth shattering decision" by the Collegium to supersede as many as 32 judges, including several chief justices.